Scientists have genetically engineered algae to kill up to 90% of cancer cells in the lab, while leaving the healthy ones unharmed. The treatment has also shown promise in mice. Diatom Algae. Image via Wikipedia. Developing drugs that fight cancer cells is not that difficult – what is difficult is developing drugs that fight cancer cells and don’t also destroy healthy ones. For example chemo-therapy has devastating effects on the rest of the body; the treatment itself basically bombards the body with toxic drugs, and nothing is spared. This is why researchers have been working extensively on finding ways to safely deliver these drugs and isolate the damage they do to the cancerous cells. Now, an international team of researchers from Germany and Austria believe they’ve found the solution: they’ve modified a diatom algae that gets the job done. 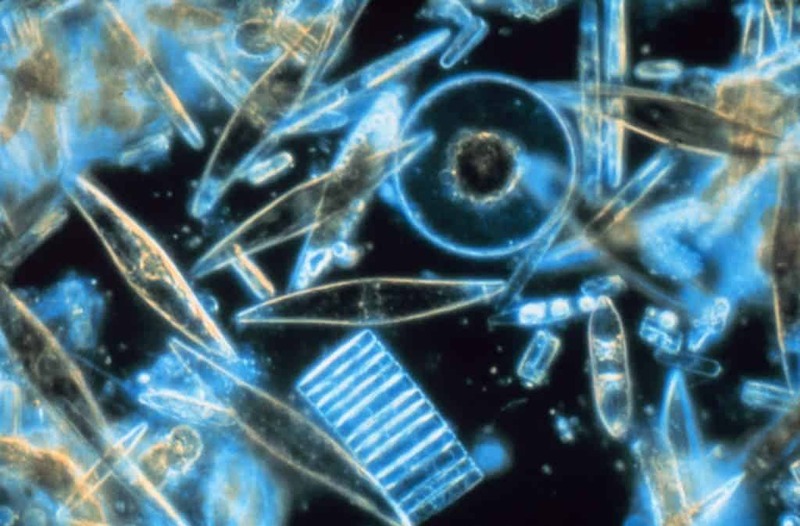 Diatoms are a group of unicellular algae that are uniquely enclosed within a cell wall made of silica (hydrated silicon dioxide) called a frustule. It’s this particularity that makes them especially interesting for this approach, because previous research has attempted to use silica particles, and did so with some success. “By genetically engineering diatom algae – tiny, unicellular, photosynthesising algae with a skeleton made of nanoporous silica, we are able to produce an antibody-binding protein on the surface of their shells,” said lead author and nanomedicine expert Nico Voelcker. Basically, the antibody-filled diatoms will flow through the human body and only attach themselves to cancerous cells, where they deliver their precious cargo. “Much attention has been paid to developing drug carriers that are natural, biocompatible and biodegradable,” the authors state in their report, published in Nature Communications. So far, the tests were quite encouraging, killing over 90 percent of human cancer cells, while not having any negative effect on the healthy ones. Tests on mice were also promising, with the diatoms preventing tumor growth. The mice also didn’t have any damage to healthy tissues. “Although it is still early days, this novel drug delivery system based on a biotechnologically tailored, renewable material holds a lot of potential for the therapy of solid tumours, including currently untreatable brain tumours,” Voelcker said.